Today on Views of the Neighborhood I want to give you a glimpse of a few of the merchants who are still not in their buildings but who have decided to start on the road to recovery their own way. 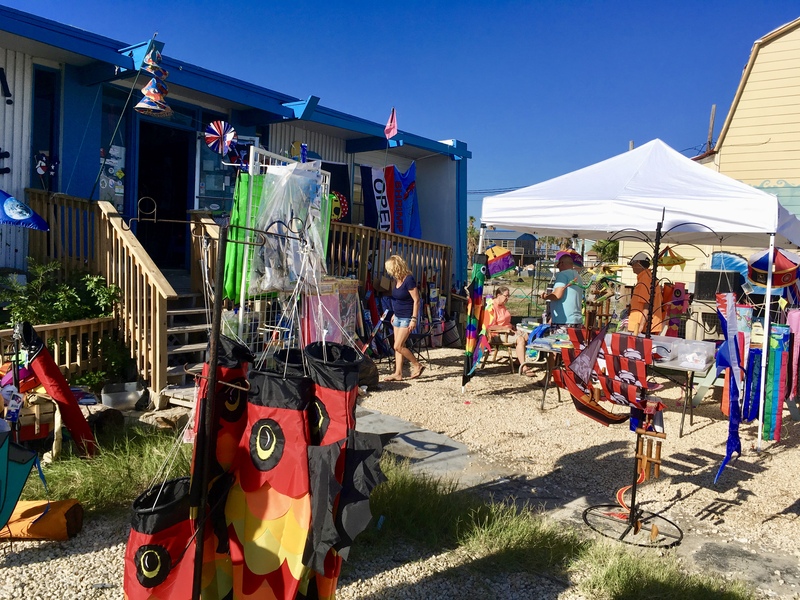 Most businesses in Port Aransas lost their buildings. A few have decided to open with some temporary accommodations. I hope you enjoy the view. 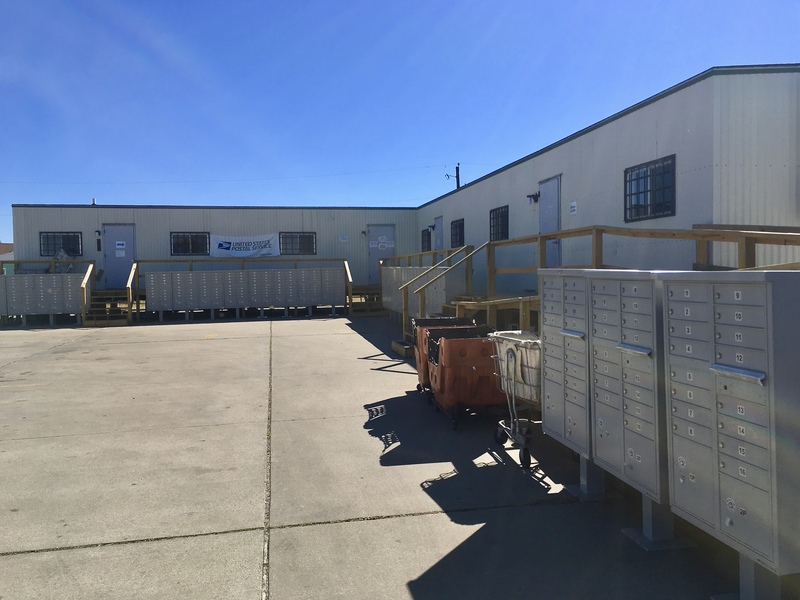 The United States Post Office is up and running in temporary buildings on the original site but opposite the damaged building. 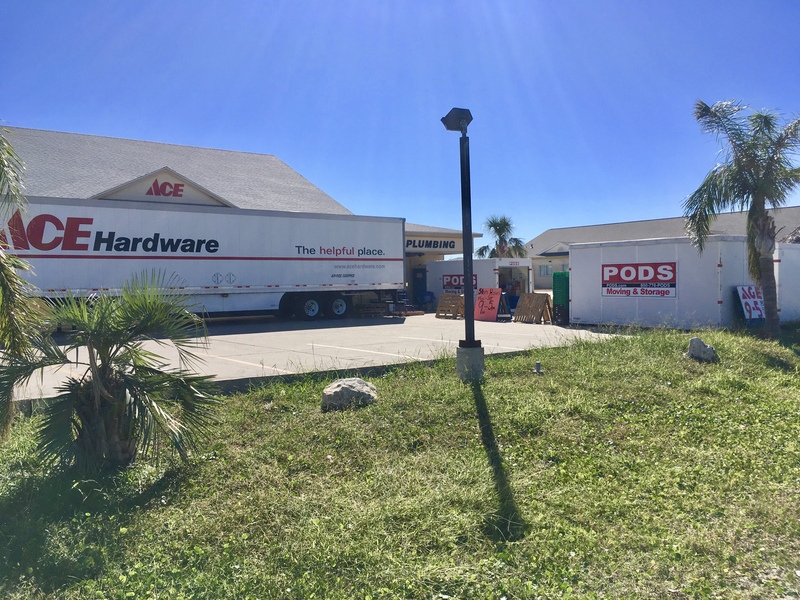 Ace Hardware pulled in a trailer and several Pods and now supply basic hardware items. The original store is behind the trailer and being worked on. 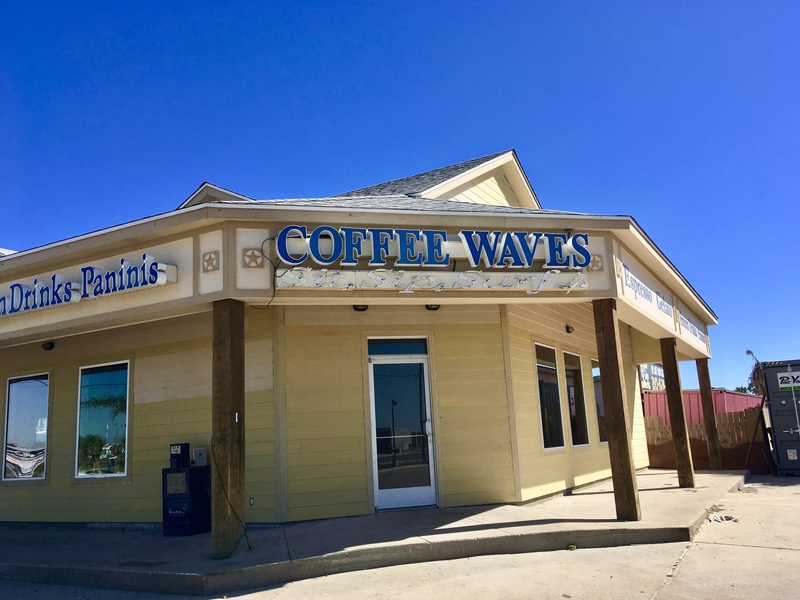 Coffee Waves is our local version of Starbucks. It is still not ready for use. But you can still get a coffee in the parking lot. 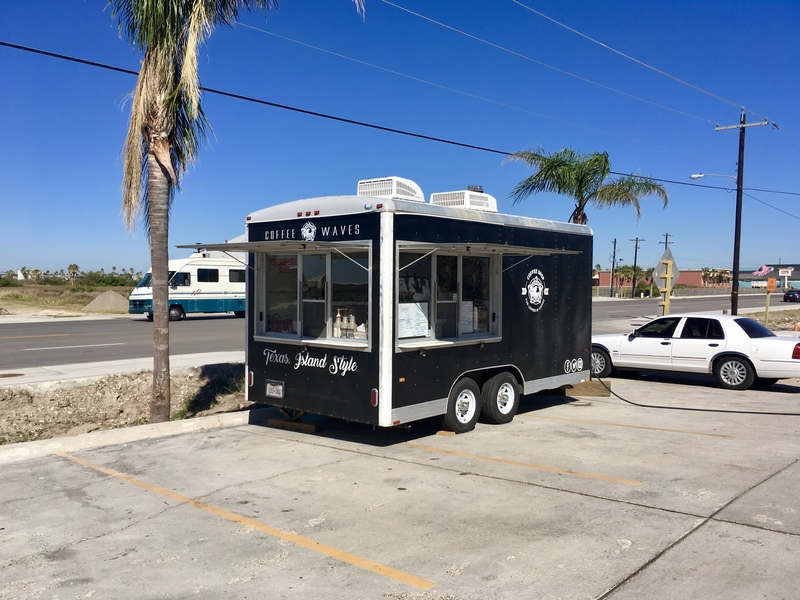 Their trailer is up and running. My bank is open in a temporary trailer which is in front of the bank building. The design Center is open for consultations. 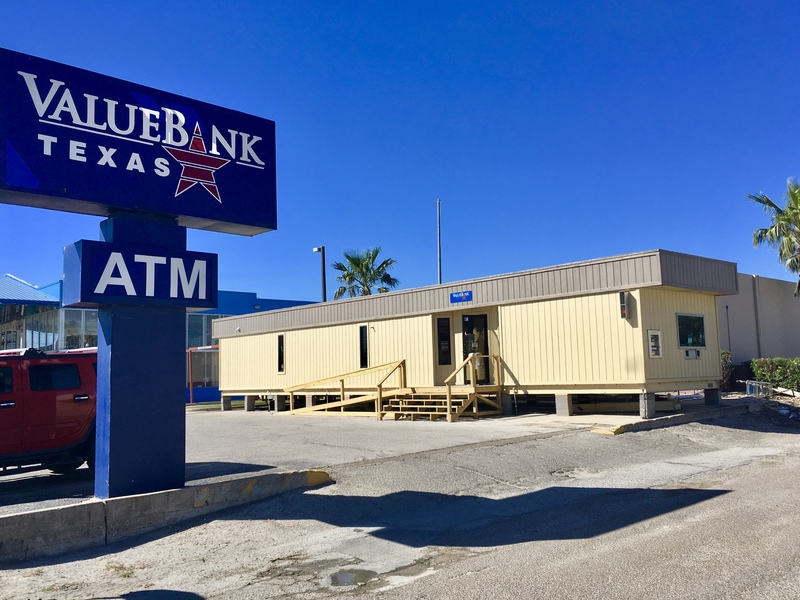 Their branch in Corpus Christi has the inventory. 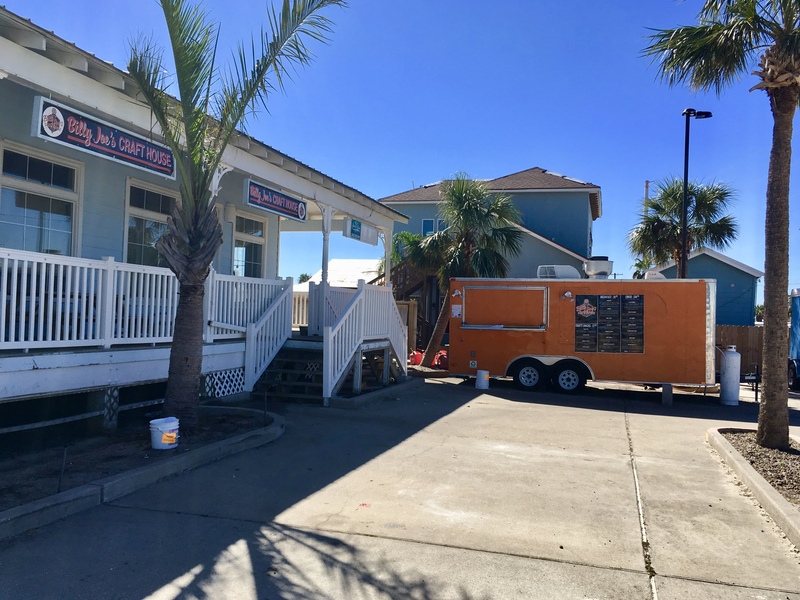 Billy Joes is open with a food trailer. Billy Joe served free Thanksgiving meals on thanksgiving Day out of this trailer. The Fly It Port A kite store is selling their kites on the front parking lot of the store. The store itself is under renovation. 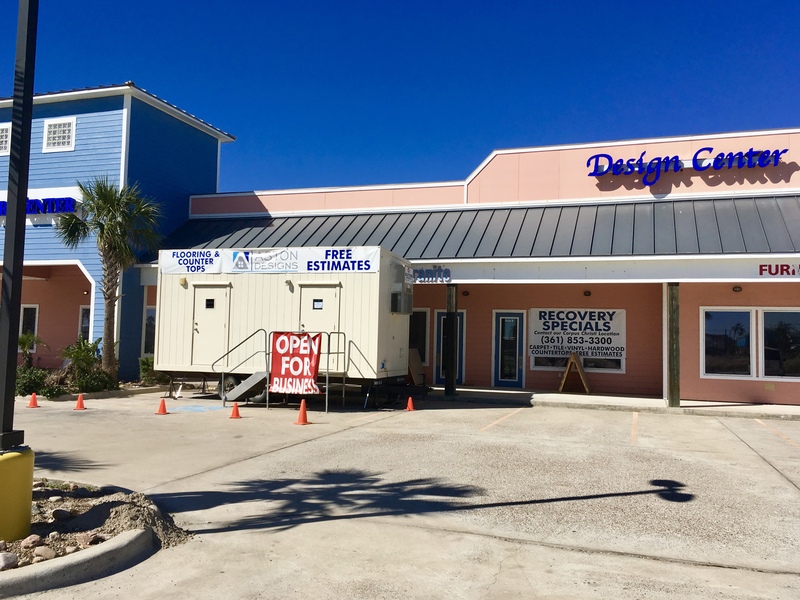 Hmm…a bank in a trailer doesn’t sound very reassuring. It’s good to know things are coming back to life. Yes it is. It is going to be a while for sure. It’s so good to see the strength of spirit on display. A great post and a good reminder of the scope of devastation, John. Your neighborhood is staying strong and working through a rough time. It’ll all work out eventually! Never underestimate the tenacity of a shopkeeper! Thank heavens for the backup coffee trailer. Slowly but surely, things will get back to normal. Thanks for sharing this with us, John. Happy Sunday! Good to see they’re working towards getting back to normal. Though the bank one is odd. Only because I’m wondering about the vault, atm, and safety deposit boxes. All you need is a can opener and you are in. Either way. Manual will probably work better. These pictures create good mood, dear John. Anyhow, life goes on, coffee goes on, kiting goes on! It’s paradise! Thank you, Marie. It does go on. Thank you for the kind words, Billy Ray. You’re most welcome, John. All the best. I recall with fondness spending many a rainy afternoon reading at Coffee Waves. I think not only of the business but the staff who lost their jobs. So true. The problem is getting the workers back. Most will have other jobs and not come back. I’m glad Port A is on its way to recovery, albeit slowly. Yes, it looks like it is very slow, unfortunately. I’ll be keeing my fingers crossed. Thanks for the recovery view, John. Hats off to the spirit of Port A.! I’m sorry everyone has to go through this, but it’s wonderful to see the human spirit prevail. The spirit is alive, Craig. Thanks. The entrepreneurial spirit lives on. Thank you, Jan. It does. Progress sometimes feels slow, but it’s good to learn that progress is being made. Kudos to the businesses for being so innovative! So good to see progress and positivity! Progress may be slow … but cheers for the progress! … stay the course! Wonderful to see businesses making their way back! It is. The downtown stores still look like they have been bombed out. Thank you John for this photo story,so telling of folks resilience in the face of such adversity. My favourite book read in our book club was ‘A place called Winter’ by Patrick Gale.Possibly not for the faint hearted,buy full of love,lust,heartbreak and happiness. Nice recovery in a short time. Thanks for sharing the pictures.I hope we don’t get any more catastrophic earth events for a while. I’m with you, Micki. I have had enough. Great to see the progress being made, John. Top marks for everyone, but especially Billy Joes for serving free meals on Thanksgiving Day. It was a special thing to do. He has also been giving away meals for the last two months and his restaurant is not open yet. It is slow and great at the same time. You’ve got the important stuff covered….COFFEE!